At 11.30 pm, January 3, then national security advisor (NSA) J.N. Dixit returned from a dinner to his home in Safdarjung Lane and poured himself a drink. He was glum, and palpably perturbed. As Dixit began to sip his drink, sources extremely close to the family say, he mulled aloud whether or not it was better for him to resign from the coveted post he had bagged just seven months back. This was the third occasion Dixit had contemplated resigning from his post. He had been under tremendous pressure largely because of the raging turf battle in the Prime Minister's Office. Pugnacious and feisty, what had tipped the scale against Dixit was that he, unlike his rivals in the PMO, didn't enjoy access to Congress supremo Sonia Gandhi. Thrice, his attempts to meet her had proved unsuccessful. At a suggestion that he should try to meet her again, Dixit, never the one to ingratiate, promptly dismissed the idea. But Dixit, sources say, was aware of the damage his resignation could cause to Prime Minister Manmohan Singh, who had reposed complete faith in him. His gratitude to Singh was immense; his resignation would have been tantamount to a betrayal. But what had Dixit exasperated was that his rivals in the PMO had the ears of his boss' boss: Sonia Gandhi. Also, he nursed the dream of putting India and Pakistan on a more solid, friendlier footing. As the NSA, this was an opportunity of a lifetime. Drink over, Dixit declared, "I would prefer to die with the harness on. I want to do my country proud. I want to do my prime minister proud." These were his last words on the night of January 3. Early next morning, he slumped in the bathroom, dead. As mourners made a beeline to his house, a senior government official who was extremely close to Dixit remarked bitterly, "They killed him." The official was referring to those in the PMO who had hemmed in Dixit, consequently stressing him to an extent that he, contrary to his nature, underwent a medical check-up in December with the doctor attached to the PM. Since September-October last, Dixit had started to find the going extremely tough in the PMO; he had begun to complain of tiredness; and had thought of quitting thrice. His friends say he found the manoeuvring in the PMO repugnant, that his candid, at times blunt, style didn't go down well with his colleagues. Worse, they found Dixit too ambitious, one who could soon tower over them—and sought to cut him down. At the nub of the rivalry in the PMO was the competition between Dixit and the current NSA, M.K. Narayanan, who is respected for his intelligence and efficiency. And it began the moment the Congress began to prepare a shortlist of those who were to occupy important posts in the government post-general election. Dixit narrated to his friends a story which vividly traces the provenance of the subterranean rivalry between him and Narayanan in the PMO. Four days before the NSA's name was announced, Narayanan dropped in at Dixit's house in Gurgaon and pumped him for information. Dixit updated him on his prospective assignment. At the end of the conversation, when Narayanan was asked what had prompted him to come to Delhi from Chennai, he said, "Sonia Gandhi asked me to come." Jocularly, Dixit remarked, "Well, in that case I can continue to write my books." The implication: if Sonia was to make the choice, Dixit knew he stood no chance against Narayanan. Three days later, Dixit was named the NSA. His contract was for three years, and his charge included the Intelligence Bureau (IB) and the Research and Analysis Wing (RAW), the external intelligence agency. Narayanan was appointed special advisor (internal security) to the PM and his brief included a review of the intelligence agencies to improve their efficiency.It was obvious their paths would cross. But their paths crossed sooner than what the players perhaps themselves had thought it would. The catalyst for the confrontation was the disappearance of senior RAW officer Rabindar Singh, who had been under surveillance for passing secret information. Dixit's predecessor, Brajesh Mishra, had been informed about Rabindar's activities in April last. 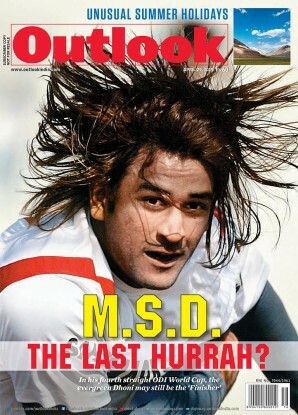 Mishra's instruction was clear: "Keep him under close watch. Get to the bottom of this matter. Don't let him escape." But Mishra didn't issue any instruction to IB, which has a mammoth counter-intelligence wing, to help RAW maintain a surveillance on Rabindar. Nor did RAW ask for additional resources to keep tabs on Rabindar. The task of maintaining surveillance on Rabindar was assigned to Amar Bhushan, a special secretary who also held the charge of the Aviation Research Centre. Assisting him was director N.K. Sharma. Rabindar, however, had disappeared on May 5, more than two weeks before Manmohan Singh became prime minister. Narayanan was convinced RAW had botched up, that even operational intelligence may have been compromised in the process. He wanted to remove then RAW chief C.D. Sahay and send a clear message to the officers: shape up or ship out. But Dixit backed Sahay to the hilt. At the time of Rabindar's disappearance, Sahay was in Europe. He promptly rushed back to Delhi, where he found his subordinates had launched a wild goose chase for Rabindar in Chennai. Worse, not even a look-out (a notice that has a picture of the wanted person) had been issued. Rabindar became an obsession with Narayanan. He thought there was a deeper reason behind his disappearance. His questions were many: why was Rabindar so important that he had to be spirited away by his American handlers? What was his network? Did he compromise others in RAW? More important, was he allowed to get away? Linked to these questions is the crucial one: why did RAW launch a discreet surveillance on Rabindar, instead of confronting him? For one, sleuths wanted to know who Rabindar would meet and why. But this discreet surveillance suffered a setback on April 19 last, when Rabindar was stopped at the time he was leaving office with his personal files. (He had secured prior permission to carry his files out.) Believing the search may have alerted Rabindar, it was decided to withdraw the night surveillance on him and allay any suspicion in his mind. Curiously, it was at night that Rabindar bolted, sparking a furious debate whether the decision had been appropriate. All this prompted Narayanan to bring RAW under the scanner, though he was supposed to review the working of the IB as well. He thought everything that could go wrong with RAW had already gone wrong, that the atmosphere in the organisation, which was under Dixit's charge, had been vitiated. Heads began to roll. Amar Bhushan was subsequently relieved of the responsibility of counter-surveillance. 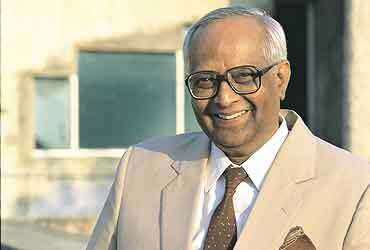 With Bhushan gone, Narayanan's principal interface was N.K. Sharma, who had now become joint secretary and been posted to Europe. This the ministry of external affairs had cleared. But Narayanan decided that Sharma wouldn't be posted out until the Rabindar case had been cleared to his satisfaction.For over five months, Sharma was without a portfolio. Sharma's situation was piquant: he had implemented surveillance orders of his superiors but was, in reality, holding the can for Rabindar's disappearance. He consequently made it his personal mission to prove that C. D. Sahay's incompetence had enabled Rabindar to slip through. So he began to secretly tape Sahay. Sharma's obsession with his mission was such that he even turned up at office the day after he was admitted in hospital in August. Meanwhile, Narayanan's inordinate interest in RAW was sharpening the conflict between him and Dixit. By July last, RAW was abuzz with rumours that Hormese Tharakan, a dgp in Kerala who had enjoyed more than two foreign stints in RAW, was being brought in; that Sahay was to get the sack. Dixit argued against the idea of removing Sahay as RAW chief. He pointed out that neither the RAW chief nor the IB boss (Narayanan) had been removed at the time Rajiv Gandhi was assassinated, a graver intelligence failure than a middling official fleeing the country. Ditto during the intelligence failure that led to the Kargil invasion. Narayanan backed off on perceiving Dixit's no-compromise position. But the battle of attrition had begun to take its toll on Dixit. This was compounded further by the debate: who should succeed Sahay at his superannuation? Again, Narayanan pushed Tharakan's name, much to Dixit's chagrin. For one, Tharakan had about the same number of months to retire as J.K. Sinha, the seniormost contender within RAW. To get Tharakan to Delhi, it was obvious Narayanan would have had to promise him a longer term than six months. Dixit, meanwhile, had more or less agreed to propose J.K. Sinha as Sahay's successor, should the prime minister agree to have a chief for six months. Otherwise, Dixit's next option was Amber Sen, who still had two years in service. Never known to pull his punch, Dixit reportedly told Narayanan, "How many Malayalees do you want in the PMO?" But his death on January 4 left the field open for Narayanan. He submitted a report damning RAW and conveying the impression that an outsider was needed to put the organisation back on rails. And all that Dixit had opposed was undone: Tharakan was brought in, J.K. Sinha took premature retirement. Amber Sen will probably lose his chance too, once Tharakan gets an extension of more than a year. Among the first things Tharakan did was to endorse the dismissal proceedings against four RAW operatives. The highest ranking was a director on the Tibet desk, R.V. Ghuge, a borderline case throughout his brief career in RAW; his probation had been extended in the nineties; he was recalled from Seychelles after he had publicly made indiscreet remarks in an inebriated state. During a brief visit to Gangtok he indulged in inappropriate behaviour with the wife of a chowkidar, again under the influence of liquor. Also dismissed was I.K. Raina, a deputy secretary-level officer who as deputy commissioner of Bhuj had been accused of misappropriating funds relating to the Gujarat earthquake. Action was also taken against a cipher operator and a driver in the China division of RAW who was allegedly extorting money posing as a Delhi police constable. These dismissals were aimed at sending a strong signal that the new RAW was going to take a tough line to clean up the organisation. Ironically, all these dismissal orders had been recommended by Sahay; Tharakan only accepted these. More important, none of these cases was linked to the Rabindar episode. In fact, ten months after Rabindar defected to the United States, he has not been declared an absconder nor has a case been registered against him. They haven't even managed to unravel Rabindar's network, and no action has been taken against his colleagues who crossed the line in sharing confidential information with him. In the end, it seems Dixit's battles in the PMO had largely gone waste. Yet there was one satisfaction Dixit had in his death: he lived long enough to ensure Sahay retired honourably in January. Repeated calls to Mr Narayanan and Mr Tharakan didn't elicit any response.